Welcome to the third and final chapter of Ryan Tanks project to replicate Roger Schmidts tactical plan and system of play in Football Manager 2015. 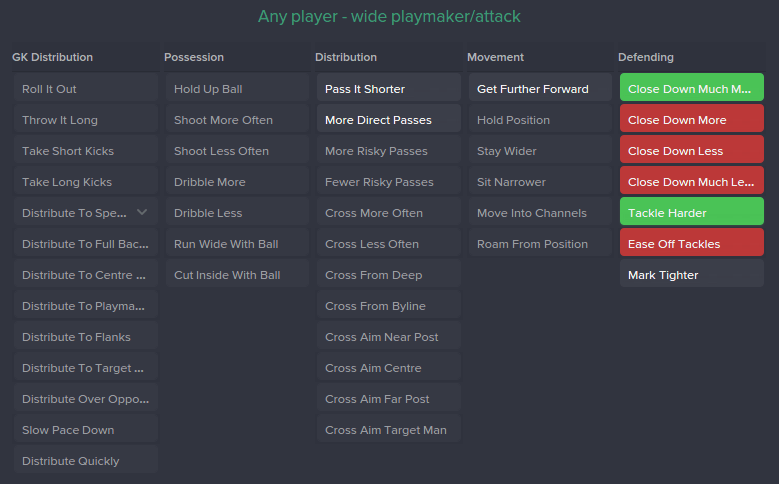 Last time we looked at how I have setup player roles and attributes required to play the quick attacking football and high pressing style within a structured shape – aka how I look to emulate a Roger Schmidt tactic in Football Manager 2015 in order to make it successful and realistic within the limits of FM15. 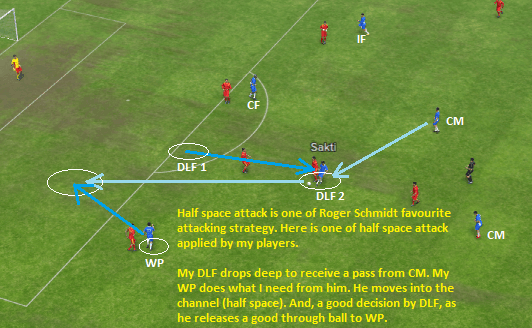 Now the time has come to delve even deeper into the tactical recreation of my Football Manager 2015 Roger Schmidt Tactic and share you the results of my project to recreate such a philosophy. If you have followed my updates both on my personal blog and from the first chapter on Passion4FM, you will be familiar with the two formations used: the modern 4-4-2 and the asymmetric wide 4-1-2-2-1 which I explained in detail in the previous part. 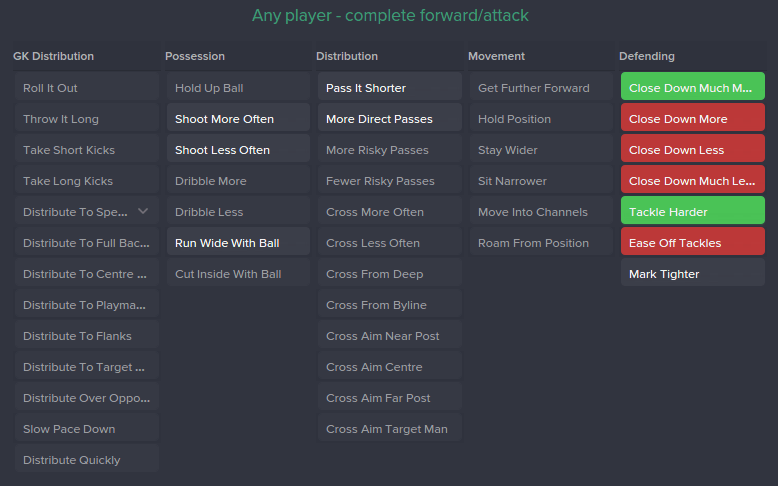 Continue reading to get a better insight to Ryan Tanks Football Manager 2015 Roger Schmidt Tactic, which gives you all the details you need to know in order to replicate this powerful FM15 tactic, and also some of the troubles and discussions I have had with myself in order to emulate this tactic perfectly. If you are going to try him in different roles, you should make sure that role is available for cut inside, dribble more, sits narrower and roam from position. I don’t ask him to roam, as I don’t see him do it a lot in the match against Bayern. But in fact, it’s the thing which is allowed in Schmidt’s system. If you find it useful, then give it a go. Half space utilization by the left wing. Creates space and exploits the half space. You see the DLF drops deep and drags two opponent players to close down him. 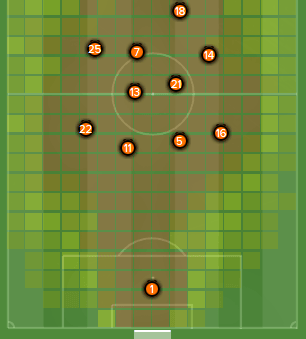 In this phase, the WP moves into that half space between the right and central back of the opposing team. Dribble more is the instruction to pay attention to. If you see your opponent are hard to break by dribbling, for example, then shut it down or let it be default. Three players are in the deep area of the box 16. One CM is staying outside the box and occupies the zone 14. Another CM is staying deeper. This is good. You can see the balance. But there is one thing which I am not too satisfied of. In the match against Bayern, the two Schmidt’s CMs seemed to hold their position outside the box. They make sure to control the central area of midfield. In the image above I was using two CMs. One was given support duty and one another was on defend duty. The support one (as the default role tells us), will run forward to the more advanced areas and supports the attack. He also gets into the box occasionally. The issue is, when he surges forward is the time when I don’t feel that’s the right time to do it. 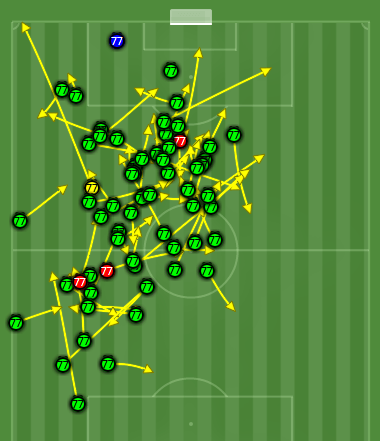 In fact, the point is his movement doesn’t look like the CM pair in Schmidt system against Bayern. You need to tweak it if you want to see the double pivot are holding their position on deeper area. But, as this is an optional one, I for sure would play with different set up for certain matches and situations. On the right you can see the 4-4-2 hybrid heat map after tweaking that central midfielder duo. As you will notice they are now staying deeper playing more symmetric. You can also see the two forwards average position. One of them sits deeper (Alan role), with the other striker stays forward. The two wingers occupy their respective position. This forms a 4-2-3-1 shape. This shape gives me more balance in terms of defending. 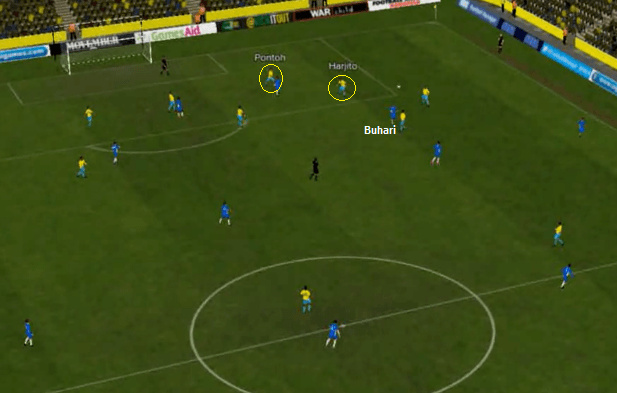 The double pivot are staying deep together and form the more perfect shield for the back line. 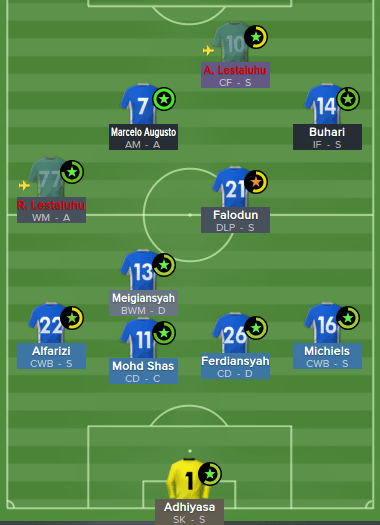 The 4-4-2 defensive phase – deep in Persiba own half. 4 players play as the back line. 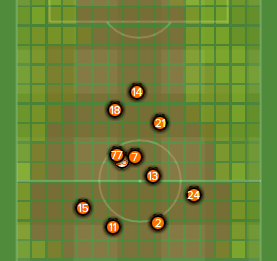 4 players play as midfielders. 1 striker drops deep and one stays forward. 5 vs 2 situation near the box, should be a benefit for me. Each players with their assigned opponents. One crucial part of Schmidts system is his preference to launch fast attack as soon as they regain possession (counter pressing) for his side. This tactical vision has created a lot of vertical play. 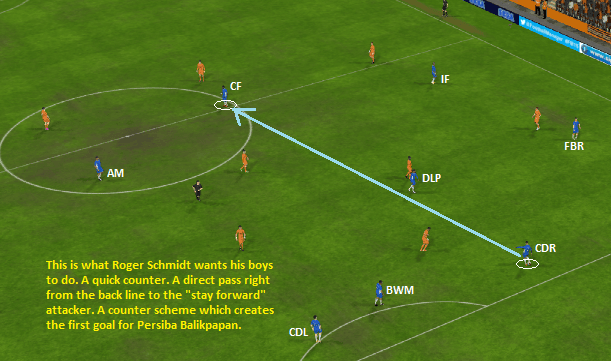 If possible, Schmidt asks his boys to make direct pass from behind to the advanced areas. If you see Jonathan Soriano is staying forward and not getting involved on defensive phase, that’s the part of Schmidts plan, as he wants one of his striker to stay forward and be ready as the passing target of counter attack strategy. Direct passing right from behind to the advanced player. I got some highlights to show as I feel it would be more effective for you to see how the vertical play is utilized in my 4-4-2 shape. The ball is patiently played by four player. When the “last player” sees the opportunity, he launches an unexpected pass. A direct pass from behind. Quite similar with 4-4-2 modern. 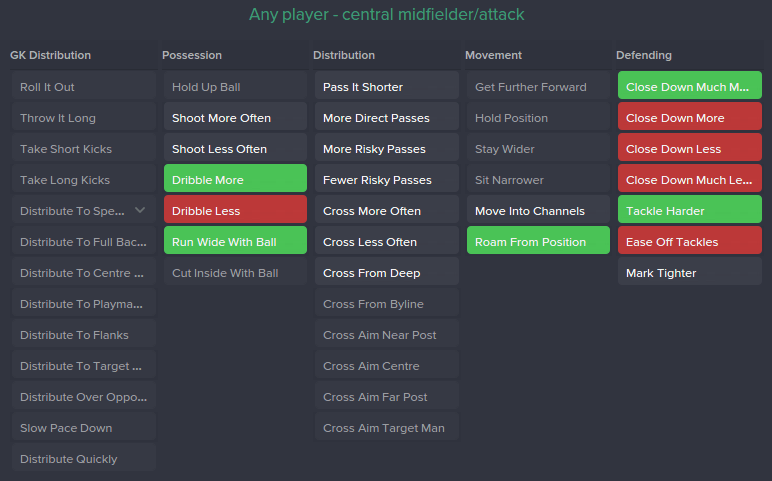 Two central midfielders as the pivot duo, two full backs going forward, and the two wingers sit narrow. Compared to the previous described 4-4-2, this shape (with a drop deep number 10) has more benefit in terms of defending. As the ‘number 10’ more constantly occupies the pocket and midfield area, it also means he potentially has more chances to get involved in defensive phase. 3 v 3 situation on defensive phase. This is from the match where Persiba play Sriwijaya who line up with 3 CMs (the yellow circled). You can see there is AM drops very deep and helps creating the 3 v 3 situation. Imagine if I play with different shape where I play with two CMs. Sriwijaya will potentially have greater chance to win the central area as they could always create 3 v 2 situation. Heat map 4-1-2-2-1 wide asymmetric shape. These two goals shows how good vertical play could cause damages to the opponent vulnerable areas. With 4-4-2 and wide asymetric shape, I can see some of Schmidts strategies are well-generated. Narrow shape on defensive phase. I had inserted some pictures above, you may see the narrow shape I’m talking about. 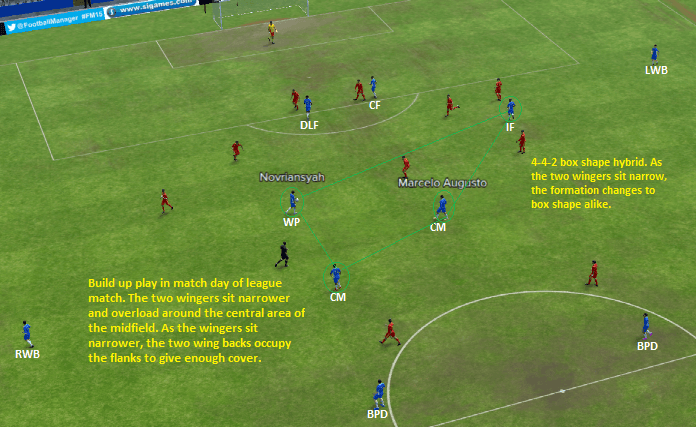 As this year match engine (ME) is in huge-love with vertical play, I can easily generate it with such LLM side. 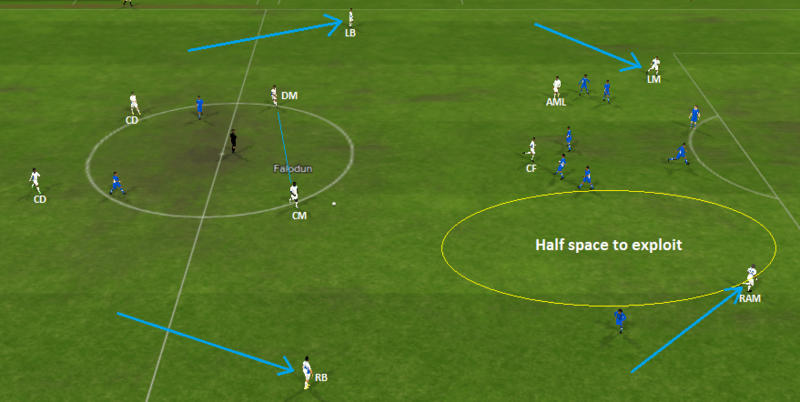 :) Attacking mentality, pass into space, and higher tempo, are the combination used to emulate such a style of play. The another one is the half space utilization. Here I show you the clip how my players occupy such space and put the opponent in an harmful situation. As soon as Obioma Buchari running towards the ball, Harjito, Gresik United left back is dragged and afters Buhari. Take closer look at Buchari, who gradually moves forward.. Lestaluhu sees it, he releases a perfect pass through the half space, to Buchari. Another breathtaking part of Schmidt’s style of play is he instructs his players to kill the opponent as quick as possible and allows them to make many shots on their will – in structured moves. This automatically creates a lot of shot attempts. With attacking/overload mentality and fluid/very fluid team shape, your team will have quite high creative freedom which in turn creates many long shots chances. Things (could be) even better, if you got player with certain playing attribute, which could trigger him to do unexpected actions. Despite with all success and fun, there is a thing staying in my mind as it’s a thing hugely unsatisfying me. What is that? Kevin Kampl. As a crucial part of Schmidt tactical plan, I got no other option but take closer look at it, make one or two or more tweaks on it, and put him as the part of the tactic. In Roger Schmidt’s system, he is plotted on right wing. As one of four front-est ones, Kampl is the crucial part of Schmidt’s system. In fact, Kampl is also the player with highest pass completion in Salzburg. Practically, despite plotted on the right side, Kampl is known as the player who roams far from his respective position and occupies the central area, controls the play from there, and surges forward when team need him to do so. Sounds like an number eight, right? 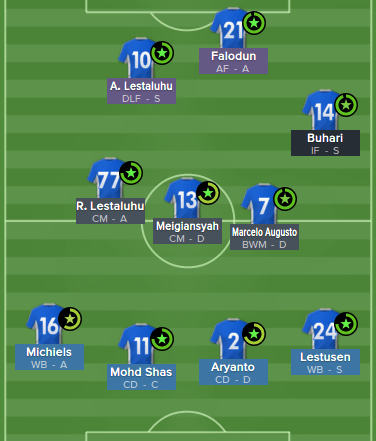 When Persiba play and on attacking phase, Ramdani Lestaluhu (the Kampl in my system) and Obioma Buhari (the Sadio Mane), will move to the central area and sit narrow. As a wide playmaker (WP) + his playing attributes to play as a WP (at least in this LLM level), Lestaluhu stats in terms of passing attempts and completed have been in the desired numbers I want. But when I see him on average positioning analysis tab I realize he is in fact not narrow enough as I want him to do. Or, more accurate to say, Ramdani Lestaluhu not occupying the central area as much as Kevin Kampl does. Long story short, Kevin Kampl issue has lead me to another tweak. 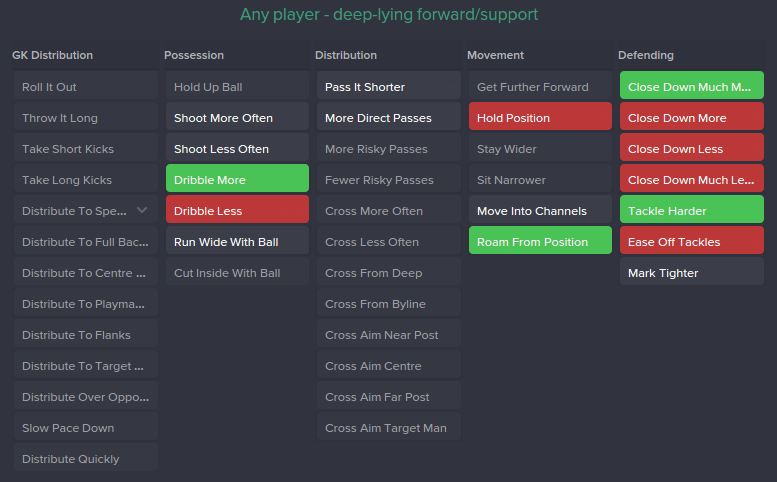 Another adjustment which I’ll feel it’s more accurate in term of emulating Kampl role. These are the tweaked shapes I had tried. I make two experiments here. First, giving him instruction to mark the right midfielder of the opponent. The second, is giving him no specific marking instruction. Here is the result of comparison. How does it go? Well, the competition is still there to beat. We have played another 13 matches in league, Confederation Cup, Indonesia Cup, and Singapore Cup. For Indonesia Cup, we have reached semi final, where Persipura been drawn with us. The significant difference between the old one and the tweaked version, is the goals for stat. With the old 4-4-2, Persiba amazingly made many goals, even when playing against top side of the league (Persipura, Persib, and Arema). But it still doesn’t mean the old tactic is better than the newer. To some extent, yes, you can say that, especially, when we see the goals for fact. But on the other side, league schedule and club international matches have forced me to rotate this team in a crazy notch setting. We have to compete with 1 day rest, for some matches!! That’s insane. In my humble opinion, this also takes a huge part why we declining in term of goal scored. Indonesia Super League is on our hand. The biggest thing to be won is Asia Confederation Cup. 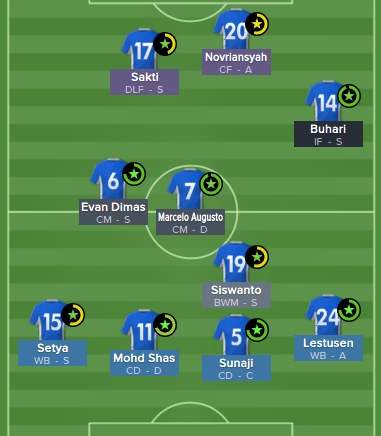 That would be the first international title during my managerial career with Persiba. Another ambitious target for me is an unbeaten season. This season is the perfect season. 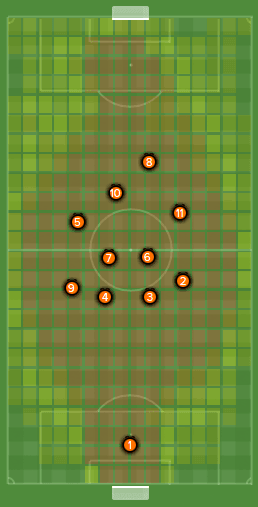 With this tweaked 4-4-2, it would be more challenging to do so. I don’t know if we finally manage to get there (which is great for us). Player injury is the main variable, as I have so far lost all my right backs, one of my left back, and one starter striker. When this piece is completed, I just finished my 25th match in league and wait for the big 16 of Confederation Cup. But I feel it’s enough for me with my ramblings on Roger Schmidt. I’ll continue this save and going on with this project. Two asymmetric shape of 4-4-2 is just enough. No more tweak, I wish ;) which is impossible. At the end, which one you think more suitable of Schmidt replicating? 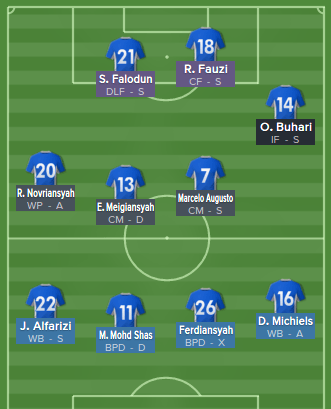 The 4-4-2 with IF or 4-1-2-1-1 with central winger as the left winger? As the final word, here I show you 1 clip that will show you how horrible closing down is in my Persiba Football Manager 2015 save. 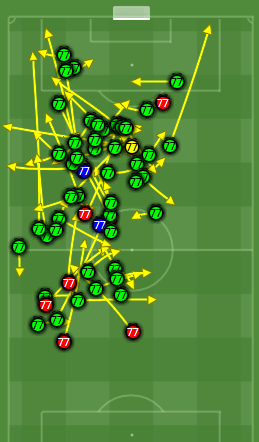 The appealing side of the game, which should be the most crucial part of Roger Schmidt’s system. Pressing!! The downside of this project. Compared to how my players successfully exploit the half space or how they generate the vertical play, this closing down (pressing) side is too pathetic. Emulating Schmidt’s system, imitating Kampl’s way of play under Schmidt and unbeaten during domestic season are there to reach. Three achievements that have taken a lot of concentrations of mine. I enjoy it, really enjoy it. Either play with that or write about it. I don’t know how this project has dragged others interest as far as how I enjoy it. But I hope this gives you something to read and something to think about, as I will never claim it as a perfect replicating of Schmidt. That’s all, people. I think I’ve given you an insight to both how to emulate real life tactics, but also on how I go about to recreate that sort of play in Football Manager 2015. 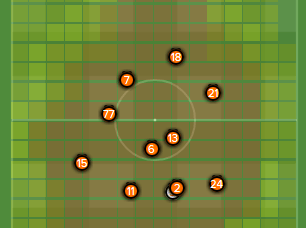 As you know, there will not be any downloadable tactic available as I feel I’ve given you all the tools to recreate a Football Manager 2015 Roger Schmidt tactic on your own. Thanks for reading and following this project. Hope to see you all on another of my Football Manager project.